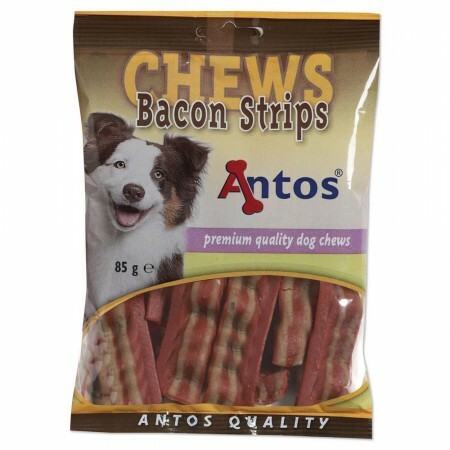 Soft and chewy dog treats are a great way to reinforce your dog’s positive behaviour. 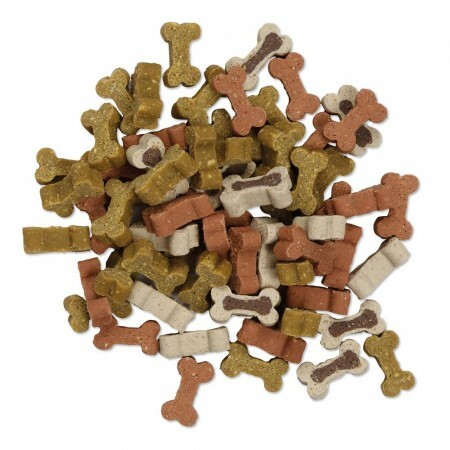 Healthy dog treats can be a defining factor during training and reinforce your dog’s healthy diet. 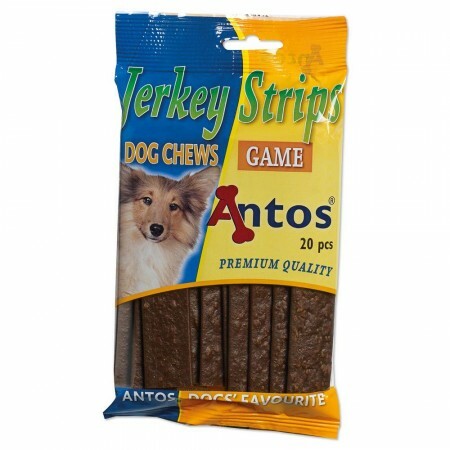 Whether it is a reward for learning a new trick or just for being your very best friend, treat your lovely dog with “semi-moist” treats from Antos. 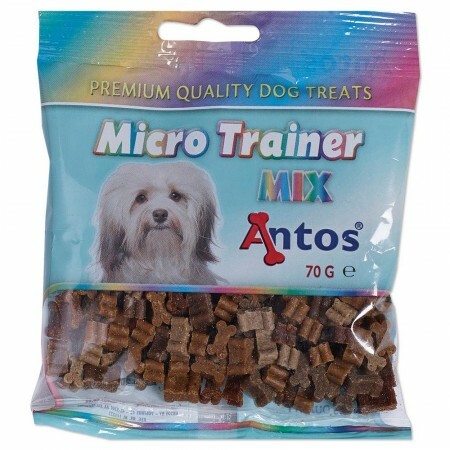 The best dog training treats are small, soft and something your dog really enjoys. High-value treats can really help keep your dog's attention. 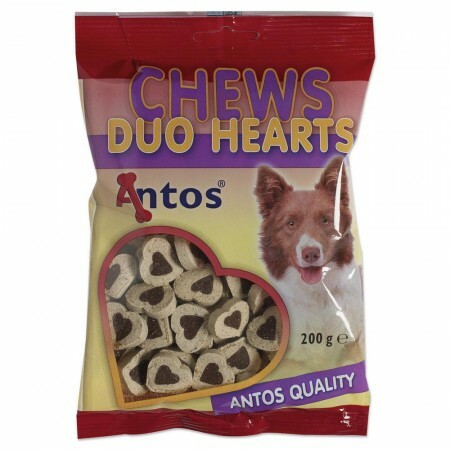 Our soft dog treats are particularly juicy and easy to chew making them the ideal treat for young puppies, senior dogs or those with sensitive stomachs. 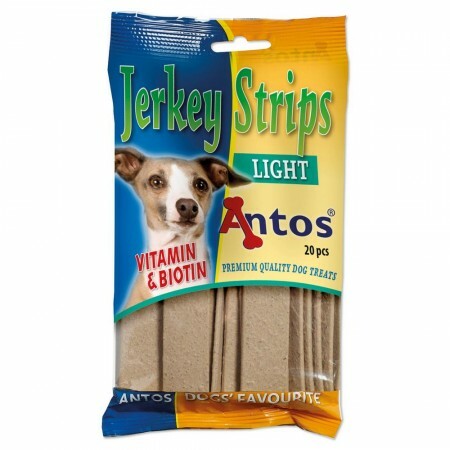 Jerkey Strips Light bring simple nutrition to your dog’s treat time. 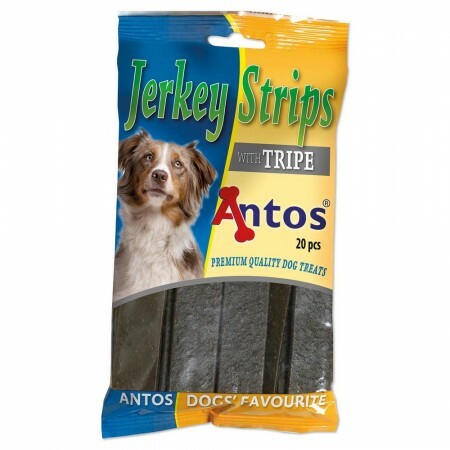 Reward your canine with these delicious soft meat strips, perfect for all dogs and light chewers. 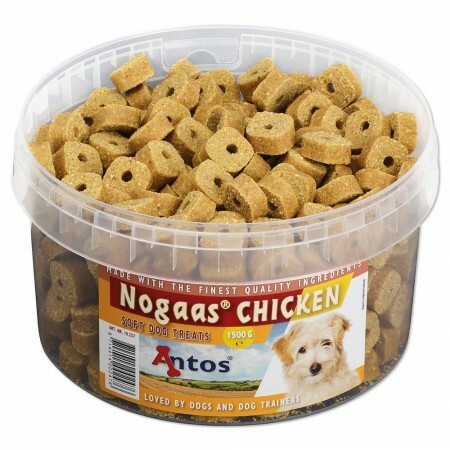 Lower in fat and with chicken meat as first ingredient these treats are full of flavour. 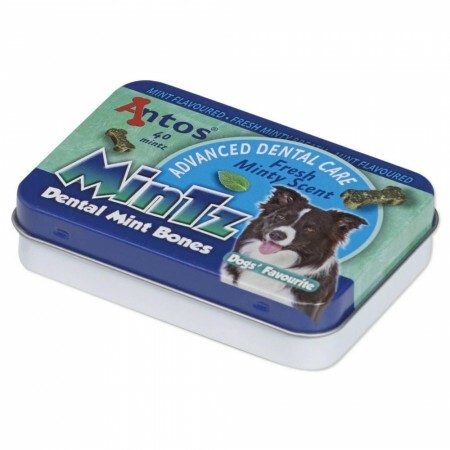 Our sugar-free treats contain added vitamin D3 and vitamin E, and biotin for a healthy skin and shiny coat. 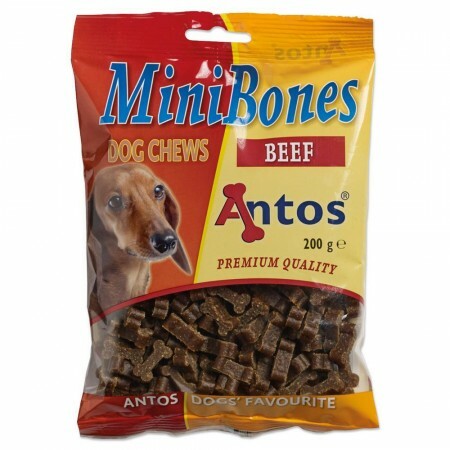 Antos Rolls Beef are delicious treats for dogs, made from quality ingredients and a high level of meat (20% beef). These sugar-free treats are healthy training treats with a very strong flavour. 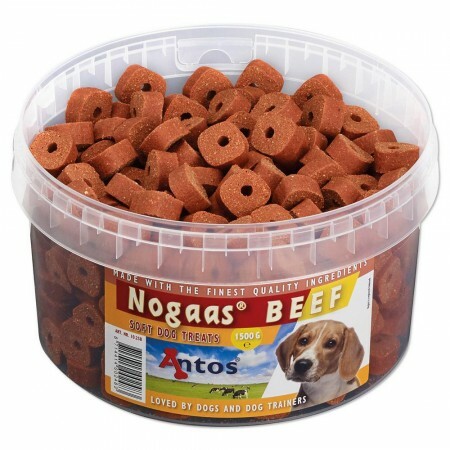 Dogs will taste the difference. The soft rolls allow easy breaking for training and rewarding. Give your furry friend something special with our Buddies Venison. 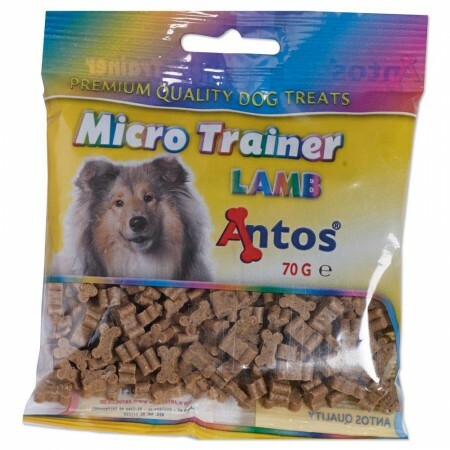 These sugar-free treats are the perfect treat to go walking with your dog. 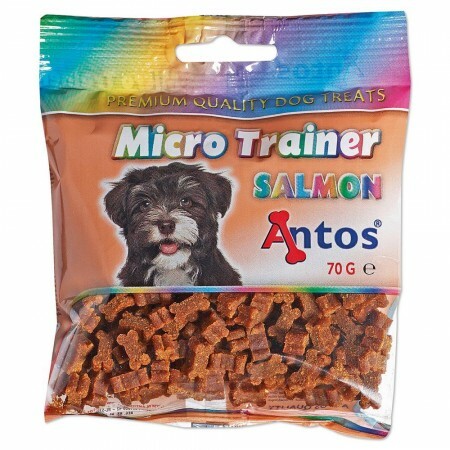 These little treats are just the right size for rewarding dogs for a job well done. 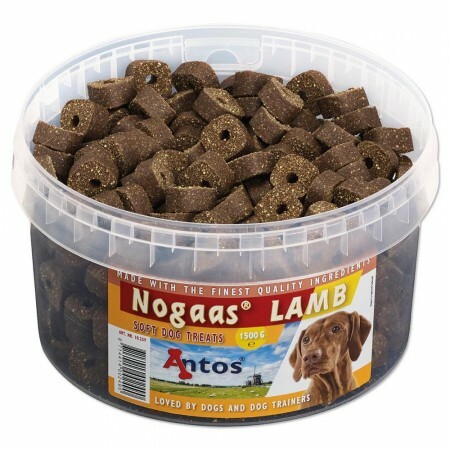 Dogs will jump for joy with these bite-sized venison treats. 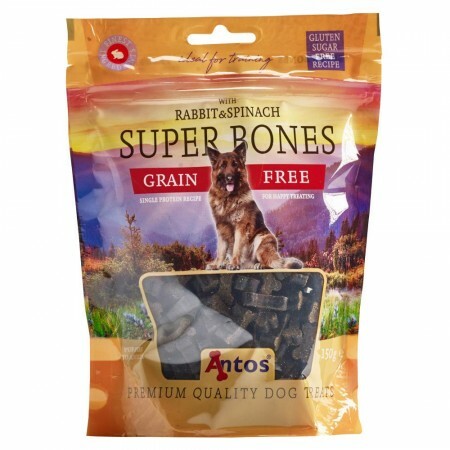 Our Super Bones are made with the perfect combination of texture, taste and nutrition all in a soft reward. 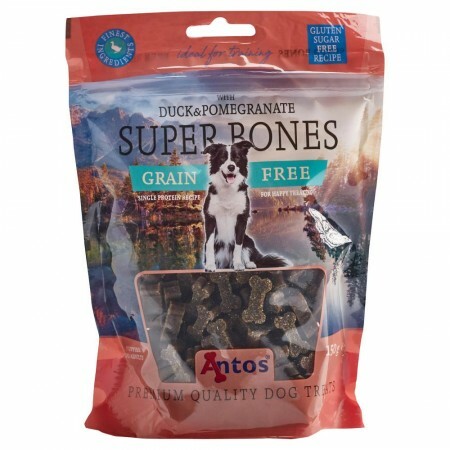 Keep things deliciously simple with Super Bones Duck&Pomegranate. Using a simple recipe for sensitive dogs the single-protein treats are made with key ingredients. This recipe starts with real meat first and features potato starch, tapioca starch and fruits. 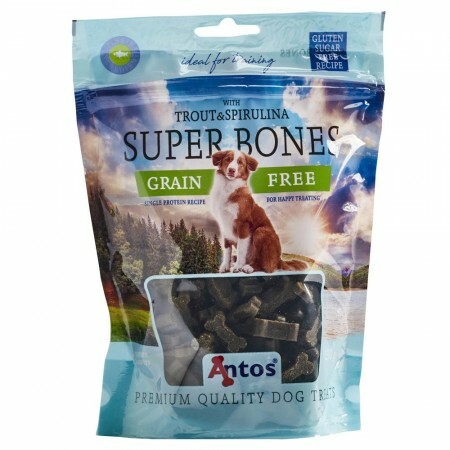 These grain-free, gluten-free and sugar-free treats serve as an excellent option for dogs with certain sensitivities.